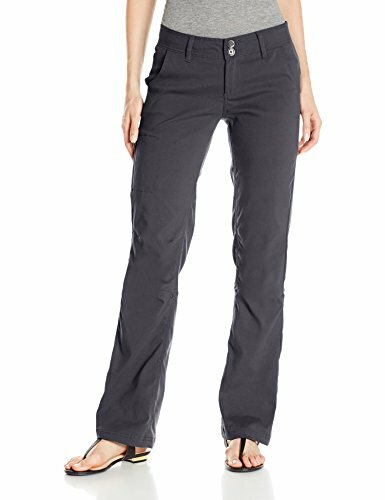 Finding the best hiking pants for women is like finding the perfect coffee roast. Once you have it, you’ll keep going back. That’s because hiking pants are essential to the hiking experience (much like coffee). If your pants don’t protect you or keep you comfortable, your experience won’t be enjoyable. 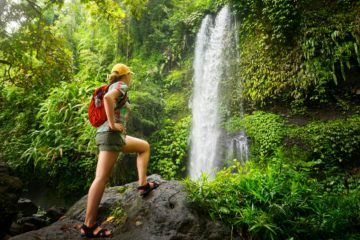 The market for women’s hiking pants has flourished in recent years, producing many excellent options with features to make the female hiking experience better. 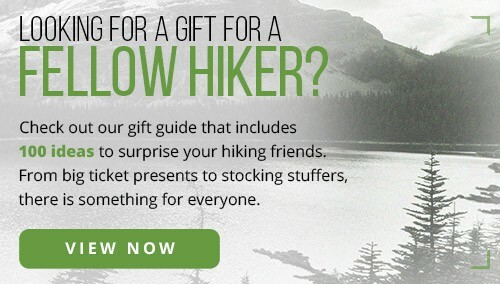 Deciding which hiking pants to get can be an overwhelming process. Our goal here at The Adventure Junkies is to remove the guesswork for you. 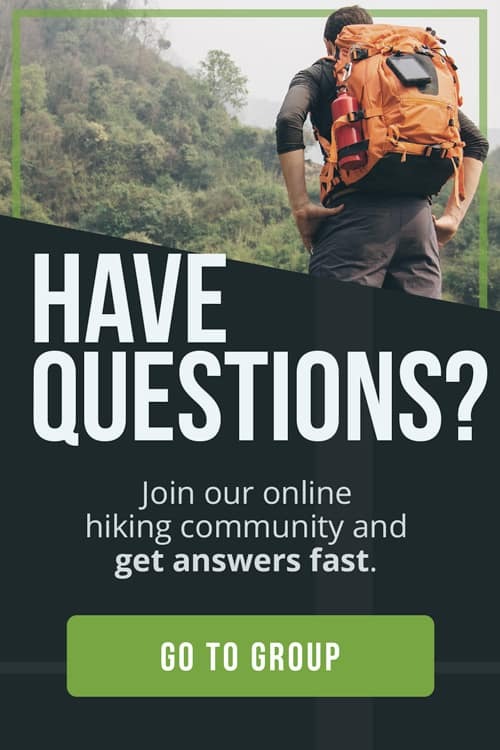 We’ll walk you through the things to consider when comparing hiking pants. To help you make the best decision possible. 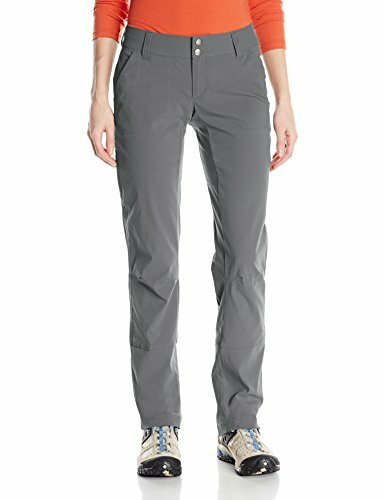 Then, we’ll show you our selection of the 10 best hiking pants for women. 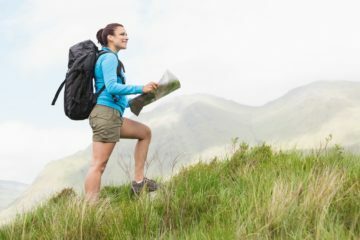 The material of hiking pants is what makes them technical. It’s what tells you how they’ll hold up, how comfortable they’ll be and how they’ll handle the environment. A material should be water resistant, quick drying and breathable. At least two out of the three. A good material will protect you from sharp edges and hard surfaces and will have some stretch for comfort. 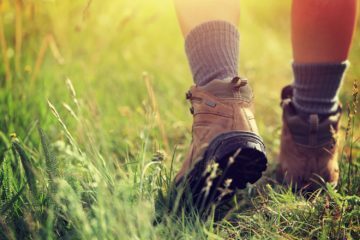 Nylon is the most popular material used for hiking pants. It’s a great material because it has all the qualities you’d want for hiking — breathable, water resistant and quick drying. It’s often combined with materials like spandex or elastane to produce a comfortable stretch. 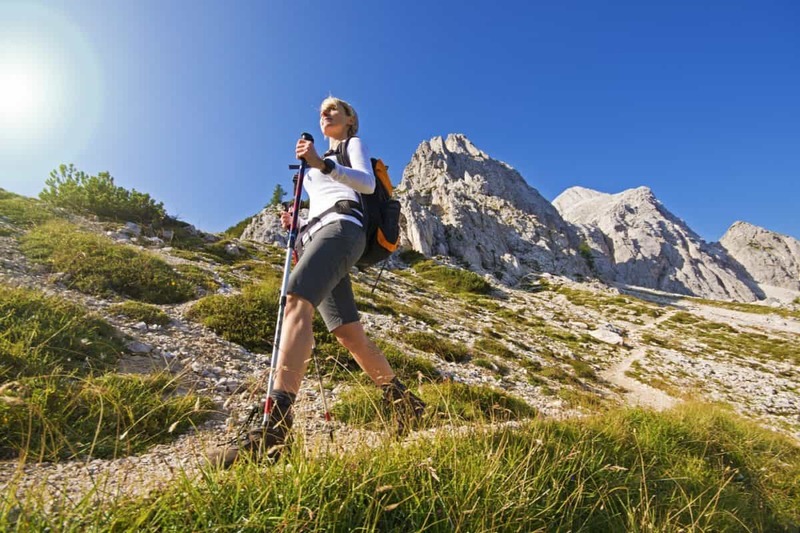 Different women prefer a different fit in hiking pants. Some like a straight cut or relaxed fit. Room for the legs to move around. Most convertible pants fall into this category. Some prefer a slimmer fit. 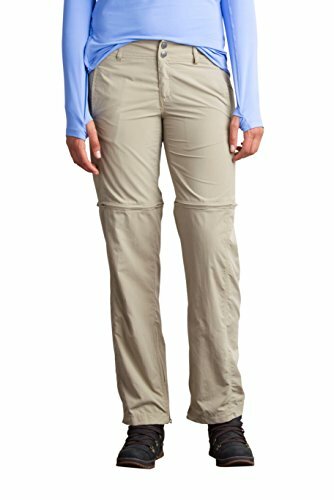 Most hiking pants in this category offer stretch. Some like a boot cut fit. Pants in this category can usually be worn in a daily, casual fashion. The most important thing is to find a fit that works for you. You’ll get to know what style you like and what is most comfortable. You get up early in the dewy morning to get started on your hike when it’s chilly. Before long, the sun rises and warms the air. No problem, just unzip your pants into shorts. No need to carry extra clothes. Some hiking pants come in multiple lengths. 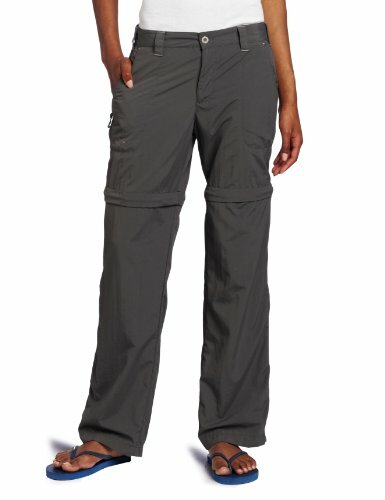 Several outdoor companies make their pants in short, medium, and long. As you’re slogging through the mud, you’ll be happy you’re pants aren’t dragging on the ground. They stay on your waist and will last years longer than they would if they only came in one standard length. It’s important to protect all your body parts from sun damage. Since you’re not wearing sunscreen under your pants, consider a pair with protection. The protection rating is like sunscreen, but it’s Ultraviolet Protection Factor (UPF) instead of Sun Protection Factor (SPF). Aim for a pair with at least 30 UPF. UPF is determined by the material, treatments, design and newness. 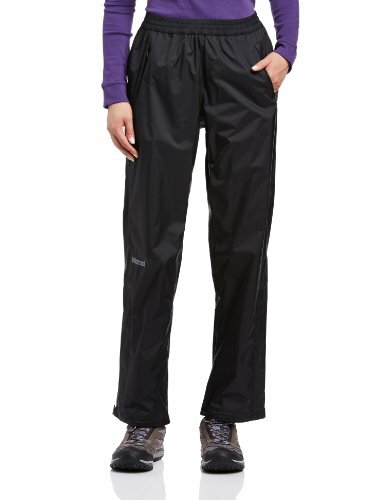 Most good hiking pants have a rating of 50+ UPF. Waterproofing is especially important if you hike in a region with high precipitation. Hiking is a fun sport but can be a little less fun if your pants are drenched, sticking to your legs. Some pants are water resistant. They’ll keep you dry in snowfall and easy rainfall. Some are downright waterproof. You can hike through a monsoon and stay dry. Water resistant pants are also good for crossing streams, creeks, and rivers. They dry faster and won’t absorb water. 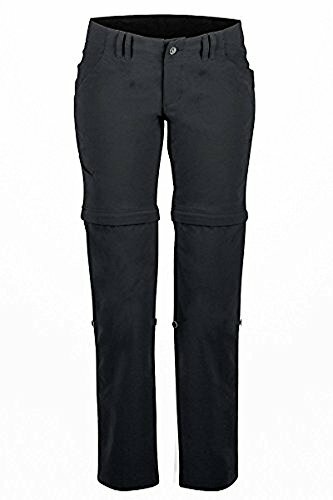 Most water resistant pants are made with quick drying materials like nylon and polyester. They’ll be treated with Durable Water Repellent (DWR). The water beads off your pants instead of soaking through. One of the most important features are the pockets. How many pockets are there, and where are they? Women’s jeans often don’t have front pockets. Or if they do, the pockets aren’t functional. 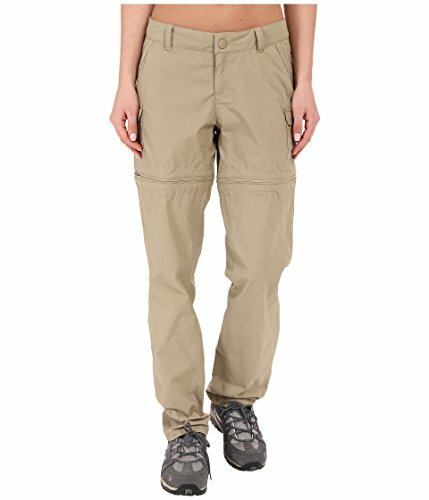 Hiking pants usually have front pockets big enough to put things in. So feel free to stuff your Chapstick in there, just because you can. Most will have back pockets, with closures to protect your items. 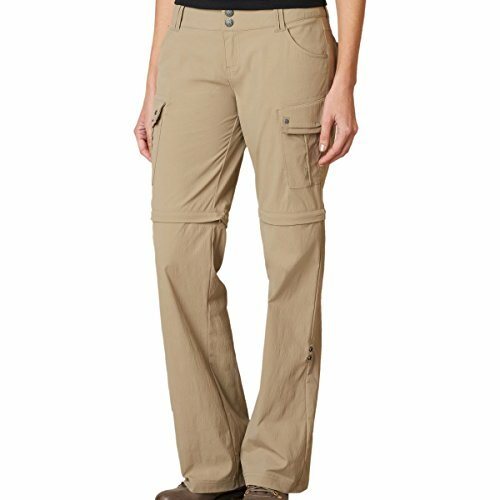 Some styles will include cargo pockets on one or both pant legs. Some pants will include a drawstring inside or outside the waistline. They’re great for added stability. 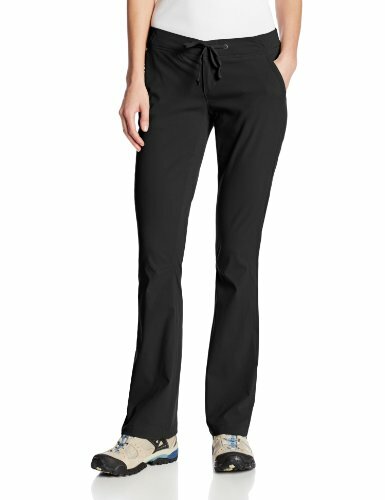 Many convertible pants have zip, clip or roll-up options for you to change the length of your pants as you please. Pay attention to manufacturer-unique technology. 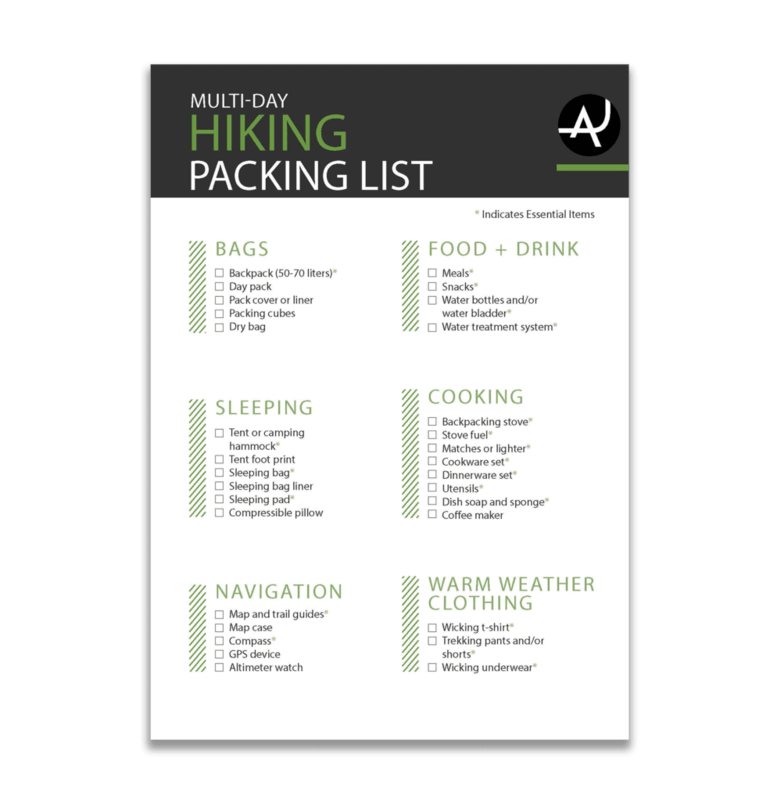 These features will be specific to the item, to make your hiking experience better.